Circulation pumps are essential for water movement in your spa. Circulation pumps are crucial for moving water through your filter to remove any debris floating in your spa, leaving your water crystal clear. 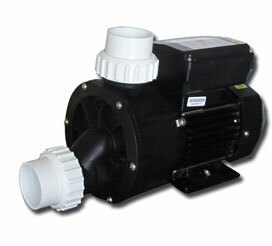 At Spa-Rite we sell Spa Net circulation pumps. Designed for super quiet operation, the 250W QuietFlo circulation pump provides excellent flow rates with low power draw making them the ideal filtration pump solution for today’s modern spas.